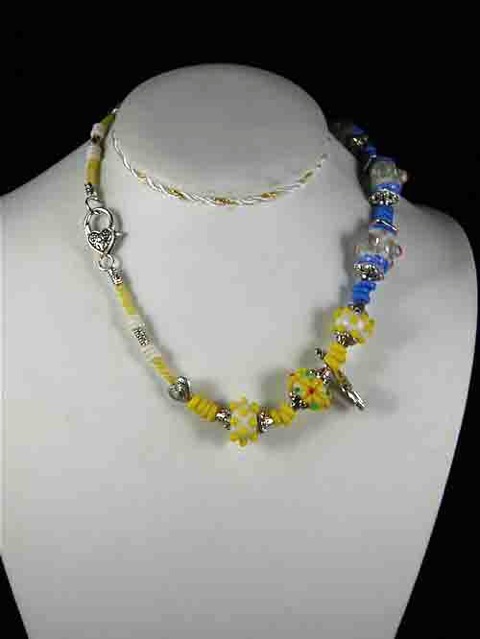 This 17" necklace has the most wonderful yellow and blue beads. The blue beads are barrel shape and the yellow beads have flowers. There are silver beads and clasp. 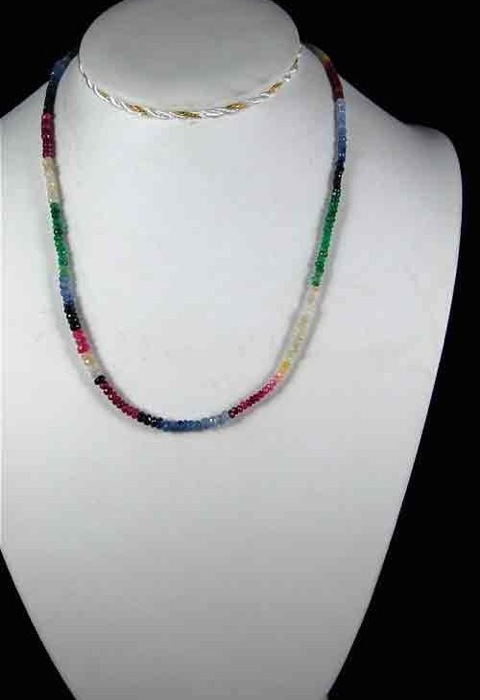 This lightweight 18" necklace is a rainbow of sapphire beads with silver beads and clasp.